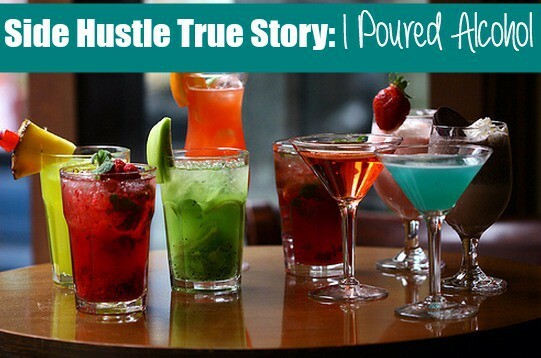 Welcome back to another exciting and fun article in the Side Hustle True Story series. In this series, I go into detail about some of the more interesting side hustle jobs I have done in the past. Some of these jobs were well worth it and a lot of fun. Other side hustle jobs were a total failure! 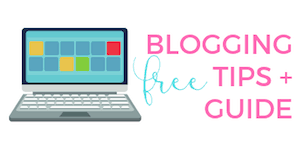 When I compiled a list of 25 ways to earn extra income, I chose not to include every side hustle job I had ever done because some of the jobs were a little odd. This week's article from guest blogger Chonce is no different! I was actually browsing online for side gigs and signed up to receive Zip Alerts when a demo company contacted me. The company hired independent contractors to do in-store product demonstrations for alcohol and wine brands along with bar promotions at local pubs and bars to market specific brands of alcohol. I did plenty of demonstration jobs before with food, so I figured it would be an easy laid back side hustle. The company I worked for had contracts with hundreds of grocery stores and liquor stores all over the state so I could have picked up work anywhere, but I chose to work at local stores because it was convenient and didn’t require much driving. Basically our regional booking agents would compile a list of available jobs and locations and send it out to all the independent contractors so we could ‘bid’ on which job we’d like to take. For example, if I saw a alcohol tasting available at my local Jewel Osco the following Saturday and I wanted to do it, I would simply email my booking agent to request the job and she would either send me a confirmation email if I got the job or I wouldn’t hear back from her and I’d assume I didn’t get the job. For tastings I was responsible for bringing my own table, table cloth, bowl, shaker, and bottle opener. These were out-of-pocket expenses and I saw it as an investment since I anticipated doing a good amount of tastings. I purchased everything for cheap at Walmart and borrowed a bottle opener from my friend. Once I arrived at the store to do my tasting I had to check in with a store manager, set up near the product I would be representing, and purchase bottles to sample along with sample cups and any other ingredients needed to create a mixed drink with the company’s credit card. Then my task was simple. I just had to pour samples of the alcohol and get people who were 21 and older to try it and hopefully buy it. I recorded their comments and anticipated sales on a worksheet that I had to fax back to the company the following Monday and I always took a few pictures of the table I set up to send to my booking agent. Being nice and friendly and pushing sales was the main purpose of the job but I didn’t feel extremely pressured to sell and I was being paid hourly. For bar promos, the only thing I had to bring to work was myself. There was usually another person working with me and we would purchase the alcohol that was being promoted that night with our company credit cards and walk around, smile, and give people free samples. Easy peasy. What Was My Work Schedule Like? My work schedule depended on the tastings I decided to book and what stores they were at. Most shifts were 3-4 hours and the tastings that took place at grocery stores like Jewel and Whole Foods were usually 11am-3pm, 12-4pm, or 1-5pm and tastings that took place at liquor stores were usually 4-8pm or 7-10pm. But by choosing which tasting I wanted to do, I always had full control of what my schedule would be. Most tastings and bar promos took place on Fridays, Saturdays, and Sundays. Bar promos were usually only 2 hours long on weekends. Sometimes I got free merchandise and T-shirts from the bar promos. After my tastings I usually held onto the juice I purchased to make mixed drinks with if I had a lot left over. Holding on to opened alcohol after a tasting is illegal but there was nothing wrong with bringing home perfectly good juice at my company. I also liked being able to create my own schedule and choose when I wanted to work. I didn’t like the inconsistency of the job and the fact that we had to bid on gigs but I got used to it for the sake of the money I was earning. I would have preferred to be assigned to a specific store and work in that store every weekend or on some type of consistent schedule without wondering when I would work next. I was mailed a check 30 days after each tasting and sometimes if I did two or more tastings in a week the pay would all end up on one check. I was paid $20/hr for tastings and $25/hr for bar promos. How Long Did This Side Hustle Last? I only did a few bar promos and mostly did tastings over the span of a year. The job was okay overall and it was fun to meet new people and easy to make money but it was simply one of those simple side hustles with no room for advancement or progression. I’m not sure if I would do it again. What have you done to earn extra income? 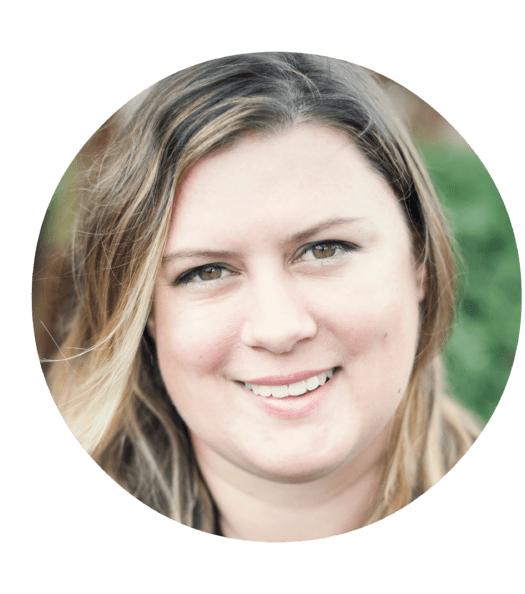 Chonce is a personal finance blogger and freelance writer who enjoys sharing debt stories and talking about saving, budgeting, earning more, and conscious spending. In her spare time she enjoys working out, playing sports with her son, cooking, and thrifting. You can follow her journey at My Debt Epiphany. 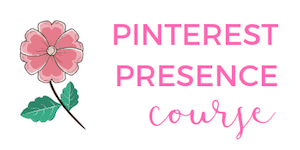 Connect with Chonce on Twitter, Pinterest and Instagram. Great job on the side hustle, and an interesting job as well. 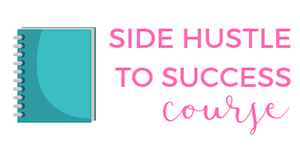 I have never really looked into picking up a side hustle mainly since I am a free-lance interpreter and always would work more jobs if I needed to earn some extra money. However, I am really fascinated by all of the side hustle jobs you and Kristin have mentioned… hmm I may need to be looking for some other opportunities. Let me know if you do any extra side hustles! I will, but at this point it makes more sense for me to continue to picking up more hours. Maybe one way to look at this as my ‘side hustle’ is to count the jobs I get outside normal business hours. I met quite a few interesting people while on the job but sometimes it was super boring when the store was dead and we were expected to just stand there. Awkward! I used to work for a beer distributor and saw these people all the time. It does seem like a pretty sweet side gig, how awesome is it to be the person pouring free booze to try? Everyone loves you, it would be great. I often wondered how much they made as I shuffled the cart past them on my way to re-stock the shelves…and now I know! Yeah the money was pretty decent. But it’s funny everyone thinks we can drink the alcohol as well and that was a big no-no at my company. Our job was to smile and engage with everyone to give them an enjoyable experience and not really worry about ourselves as much. When you’re doing something like that and enjoying yourself if kind of doesn’t seem like work. My gig in particular was definitely a stress free way to earn extra money. That sounds like a pretty nice gig. I am fairly surprised that they made you purchase your own display stuff, I always assumed that companies would want an extremely consistent image. I know a guy who is a writer who likes to do these, especially as we live in a small town so it’s a great way for him to socialize with people he knows as they go by (like me!). That would have been nice if we had more display materials but I just kept it simple. Meeting new people was definitely a highlight of the job!